At 20/20 Image Eye Centers, we take a complete approach to vision care. This means a compassionate staff and board-certified eye doctors who are the best in their field. We take our time with every patient and educate you on ways to help ensure the continued health of your eyes. We are committed to providing high-quality service and products that match our patients’ healthcare needs and lifestyle. We have five convenient locations to serve you- Chandler, Scottsdale, Glendale, Fountain Hills, and Tempe. At 20/20 Image Eye Centers we’re focused on you, so call us today to book your eye exam or schedule online! 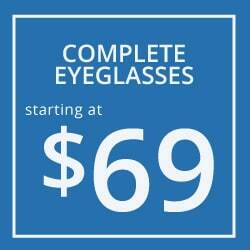 20/20 Image Eye Centers wants you to get the best deals on fashion-forward eyewear. Check out our great offer on designer frames! Visit us in-store, contact us online, or give us a call to take advantage of these great savings!